* review the position of the manager in relation to debates on the deprofessionalisation of care. 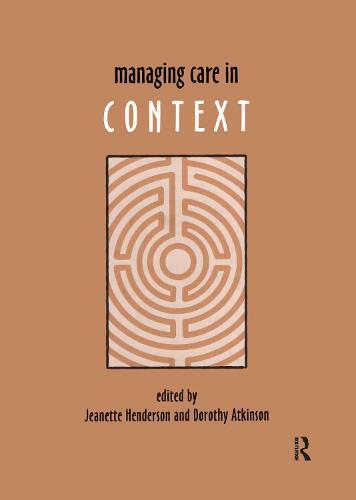 Managing Care in Context is essential reading for students, practitioners and aspiring, new and experienced managers of care within the health and social services sector. It will help managers to understand what their role is, how it has developed and how to face the challenges of the future.